It is not possible to overstate the importance of understanding this chapter of Daniel. The transgression causing desolation of Daniel 8 was the Watchtower signing the UN NGO agreement on 1992January28. The placing of the disgusting thing causing desolation in Daniel 12 was the Governing Body of the Watchtower consciously accepting people who did not think they were 1NC saints. This puts an unclean soul on the altar of the 1NC sacrificial death. The agreement joined the WTBTS of New York which was the temple of the Watchtower, to the UN, which is the throne of Satan. That put Satan's throne in the temple of the Watchtower. That is the abomination that causes desolation to that temple. The LWs first saw this clearly on 2008Iyyar20 (just before midnight on May 26th). But this cannot be what causes the loss of the constant feature, since the sin was paid for on 2001Heshvan14 with the loss of the water baptism. There was a further agreement between the Watchtower and Laodicea, under which Laodiceans agreed not to evangelise any LW understandings to anyone outside the Watchtower and not to communicate with the LWs at all etc etc. God's response was, fine, if you will not evangelise my interpretations (as understood by the LWs) then you will not evangelise on my behalf at all, so on 2004Elul14=2004September1, the first day of the Watchtower field service year, they became a false church and lost the constant feature, which for them was doing field service for God as a true church. So the transgression causing desolation did lead to a placing of the disgusting thing (the throne of Satan in the Watchtower temple) immediately. 40 And in the time of [the] end the king of the south pushes together-with him [2x], and upon/against him the king of the north will storm [2x] in/with chariot [1x] and in/with horsemen [3x] and in/with many ships [3x. So 2x.(1x+3x+3x)=14x]. And he will certainly enter into the lands [3x] and flood-over [them] [3x] and pass-over/through [them] [3x]. 41 And he shall enter into the glorious land [1x], and many will be stumbled [3x]. But these shall escape out of his hand: Edom and Moab, and the chief part/first part of the sons of Ammon [5x.3x=15x]. 42 And his hand will stretch out in the lands, [5x.3x=15x] and the land of Egypt shall not escape [1x]. 43 But he will rule in/over the treasures of gold and silver [6x], and in/over all the desirable [things] of Egypt [3x]. And the Libyans and the Ethiopians shall be in/at his steps [6x.3x=18x]. 44 But reports/news shall trouble him from the east and from the north [3x.2x=6x]. And he will go out in great fury to destroy and to annihilate many [3x+3x=6x]. 45 And he shall plant the tabernacles of his palace in the midst of/between the seas/waters, [extending] to the glorious holy mountain [3x+3x+1x=7x]. Yet he shall come to his end [1x], and there is not a helper for him [1x] (Daniel 11). 2x+14x+3x+3x+3x+1x+3x+15x+15x+1x+6x+3x+18x+6x+6x+7x+1x+1x = 108x, 108 months, 9 years from 2011Nisan14, the end of Satan's lease to 2020Nisan14, the start of the lava flood, which is the end of faithless Adam. So this particular Time of the End runs from the end of Satan's lease until the beginning of the end on Adam. The Time of the End of the world of Satan runs for 9 years and 4 months from 2011Nisan14 to 2020Ab14, the absolute end of Adam. The largest possible Time of the End runs for 12 years 4 months from 2008Nisan14, the end of the world of the ARC, to 2019Ab14, the end of unsealed Abraham, the end of 1AC Adam, the end of entry into the first death, the end of non kingdom citizens. 1 And during that time [t [End-time: the time of the end of Daniel11:40. From 2008Nisan14, the end of the ARC world judicially or from 2011Nisan14, the end of Satan's 6,000 year sublease, to 2020Ab14, the end of unsealed 1AC Adam and of adamic death. That is 12 years 4 months. For the good book says: In the day of your eating it dying you will die. That day began on 3993Nisan14 BC and will end on 2020Ab14, the end of adamic death. So adamic death lasts from the first Passover of Adam until the late 3rd Passover of unsealed Abraham, which is the last Passover of Adam, for 6012 years 4 months. The Time of the End is the period of Transition Government between Satan's administration and God's. So this is not one time long. Neither was its first presence predecessor, which ran from sometime after 69Tishri15, the beginning of winter in the land Sabbath year of 69Tishri-70Tishri, to the Diaspora. That period contained a time of distress from 69Tishri16 to 70Tishri15 or thereabouts. The time of the end of FDS1 and of FDS3 runs from 75Nisan to 92/97/98 for FDS1 and from 1998Elul27/29 to 2005Iyyar14 for FDS3, the days when they lost authority over the saints judicially, to the days when they became false churches, i.e. lost their authority over the sons of the 1AC] he will stand up Michael, the prince, the great, [a triple designation so 3 word symbolic meanings plus the literal meaning. These refer to the end of Jewish system, end of world, end of FDS1 and end of FDS3] the [one] standing in behalf of the sons of your people [from 2014Heshvan20 once the 1266 day ministry payback period had expired]. And there will certainly occur a time [t of distress such as has not been made to occur since there came to be a nation [nations began at Babel. BUT NATION IS SINGULAR HERE] until that time [t [The time of there again being only one nation. The time of there not being as plurality of nations. The time of the end of the nation state. The time of distress which also has not been made to occur since there came to be a nation until that time. It runs for a time, one year. The year of the Time of Unprecedented Distress contains the seasonal winter of the Unprecedented Tribulation of Mark13 and the spiritual harvest winter of the Great Tribulation of Matthew24]. And in/during that time [t  your people will escape/be delivered [into Zoar or into the ark or into salvation covenants. Could there be a more ambiguous phrase than the 'Time of the End'? ], every one who is found written down in the book [of the FRC, the OMC, the CRC, the ark manifest? 1NC reserves are not included Daniel's people. Priests are in the FRC and CRC. Kings are in the FRC, the CRC and ARC. So everyone is in the book of the FRC (except the sons of the OMC who will have Yeshuaian bodies in the Kingdom of God. They will be sons of Jesus and citizens but not included in Daniel's people). 2019Nisan1-2010Adar30: New Zoar Rosh Hashana to the end of FRC entrance - the day of the big slaughter when the towers fall of Isaiah30, the day of the binding up of the breakdown of god's people of Isaiah30, the Acceptable year of Isaiah61. 2019Nisan14-2020Nisan14: The late Laodicean and to the Dragon's Passover and the start of the lava flood. 2019Tammuz5-2020Tammuz5: The end of the testing of God by Watchtower 1NC reserves (who saw the signs from the LWs and ask to join Zoar by 2019Tammuz5? in time for the last Passover entry day for them on 2019Tammuz10) until the installation of the Kingdom: The Time of the End. 2019Tammuz10-2020Tammuz10: The end of Bethelite JW 1NC reserve Passover entrance until the end of Zoar entrance: A Time of Escape. 2019Ab14-2020Ab14: The late 3rd Passover execution of Watchtower Adam to the final late 3rd Abrahamic Passover execution of unsealed 1AC Adam (sons of the 1AC who did not get sealed and so never actually became Abraham). the Time of Distress. Priests are in the FRC and the CRC. Kings are in the FRC and the CRC and the ARC. So everyone in the book of the FRC would include the priests and the kings. The sons of the OMC will have Christian bodies in the Kingdom of God. They will be sons of Jesus and citizens and so included in Daniel's people. 26 while men become faint out of fear and expectation of the things coming upon the inhabited earth; for the powers of the heavens will be shaken. 28 But as these things start to occur, raise yourselves erect and lift your heads up, because your deliverance is getting near. 30 When they are already in the bud [in Adar/Nisan], by observing it you know for yourselves that now the summer is near [6 month Hebrew summer starts on Nisan16, 3 month Greek summer starts in Tammuz] (Luke 21). 21 for then there will be great tribulation [within the time of distress] such as has not occurred since the world's beginning until now, no, nor will occur again. 22 In fact, unless those days were cut short , no flesh would be saved; but on account of the chosen ones those days will be cut short (Matthew 24). But there is a further meaning too. Namely those of dust (who are dust constructively, who are under a human death sentence) and are from the ground of the congregation of the 1AC, will wake up spiritually and begin to see what is going on. They will only see the kingdom of God if they are born again - John 3. But not all who see it will understand it. No wicked at all will understand it and be saved into it. Those who see and understand will enter into the FRC and the CRC and the ARC and wake up to indefinitely or everlasting life. Those who see but refuse to understand will get indefinitely lasting abhorrence in Gehenna. Those who refuse to see will also go to Gehenna. 4 And as for you, O Daniel, make secret the words and seal up the book [by writing it in an ambiguous code], until the time of [the] end. [When] Many [descended saints] will rove about [and many humans will rove about through the hidden meanings of the bible], and the [true] knowledge will become abundant . 5 And I saw, I Daniel, and, look!... there were two others standing, one on the bank here of the stream [1NC reserves in Laodicea with a water baptism] and the other on the bank there of the stream [1NC reserves in the LWs with a water baptism]. 7 And I began to hear the man clothed of the linens, who was up above the waters of the stream, as he proceeded to raise his right [hand] and his left [hand] [two sides refer to the two churches of kings declared righteous which sit at Jesus' right and left hands, in each presence. These are the 1NC Kings and the 2NC Kings. Both congregations are raised up to the heavens in the time of the end - the word hand is not used but he hardly lifted his feet to the heavens to swear! So right plainly means right hand here. So somehow this is 10 fingers i.e. more than 9x and less than 10x (since his hands were not stretched out). Laodicea is a left hand church but it is controlled by the right hand church, whereas FDS4 is a left hand church and Zoar is a right hand church which is initially controlled by a left had slave, FDS4, but finally is controlled by the descended 1NC saints, who are at the right hand of Jesus] to the heavens and to swear by the One who is alive for time indefinite [as are all those are who are raptured and float up in the air like Gabriel. Gabriel represents Jesus. He is without a water baptism for the period represented by his dry levitation. So how long are theses 1NC angels without a water baptism? ]: It will be for an appointed time appointed times [Hebrew dual/plural] and a half [not necessarily half an appointed time, but either that or half of the preceding times. So it means both. It means 4½x=3x+1½x and it means 5½x=1x+2x.2x+½x, which together make 10x of two hands]. And when a finishing of the dashing of the hand/power of the holy people to pieces occurs, all these things are finished [in other words when the power of the LWs stops being curtailed by the wall of the Watchtower. Actually when the priesthood of the 1NC reserves s is restored by water baptism then the period of no presence comes to a finish]. 1x+2x/3x/4x/5x... + ½x = 3½x/4½x/5½x/6½x etc. ?? Gabriel could be defining the distance between the two banks, the length of time during which the angel floats above the river (without a water baptism - even though at least the 4EC water baptism is available), the gap in the presence. Or he could be defining the length of the bank which is the period after the end of the river, the water baptism and before the end of the church 9the finished of the dashing of the power of the Holy people to pieces. That would be one Time of the End of the church. Gabriel raises his hands to the heavens and swears by the one living to time indefinite, which directs us to an angelic fulfilment for the hands. So the gap in the 2nd presence and the gap between the 2nd and 3rd presences are 4½x or 5x or the two of them add up to 10x or in fact both. Whereas the earthly fulfilment is simply a time, times and half a time, where times can be dual or Hebrew plural. So the earthly fulfilment is 3½x or 4½x for the length of the banks. Russell was baptised as Elijah3 from heaven on 1871Heshvan21, the 2NC Pentecost, then 3½/4½ years later is 1875Iyyar21/1876Iyyar21 when we think TCC3 began and the first 3EC water baptism occurred (Russell used to just accept people who had already been immersed). So likewise the far bank after 2001Heshvan14 runs for 3½/4½ years as well since the vision is symmetric with one man on each bank yet only one man asks essentially: How long is my bank? So both banks are the same length - because either of the two men could have asked that question. So the Watchtower fell as a true church on 2005/2006Iyyar14. The reclining in green leek beds of Mark6 by 50s and 100s gives us 100 years of feeding of 5,000 water baptised 1NCs in the Watchtower from 1901Heshvan21, the installation to feed to 2001Heshvan10/12/14, the end of the 3EC water baptism - see U67. So this means Charles Russell must have been baptised from heaven as Elijah3 (born at year 0 of the pattern of the Watchtower church of U42) on 1871Heshvan21. Also Russell was born physically on 1851Shebat21, so his first 2NC Pentecost after becoming 20 years old by Hebrew reckoning (Tishri1 year starts) was indeed 1871Heshvan21. So he CANNOT have been baptised from heaven in the year before since he would not have been of age. We can get the precise date for the fall of the Watchtower as a true church from the contest of 1Kings18 because the 450 prophets of Baal go first they being in the majority over the 100 prophets of Jehovah plus Elijah plus his attendant plus Obadiah (team Jehovah). that is a majority of 347 and Elijah began contesting with his Sign of Jonah letter of 2006Iyyar1. So 347 BLC days before then is 2005Iyyar14, when the Watchtower fell and its prophets became prophets of Baal. Since the earthly fulfilment, the length of the two banks is so obviously ambiguous (being either 3½x or 4½x from the daul or the Hebrew plural and from the time times and a half rather than time times and half a time) it follows that if the 2nd presence banks are 3½ years long then the first presence banks are 4½ year long and conversely. In the first presence the 1290 days of verse 11 from the removal of the constant feature (the disgusting thing causing desolation having been set up) to the end of something, which cannot be the end of the Jewish system in 70 AD, because the 1EC baptism continued for 46 years of John2 after 33Nisan16, the rebuilding of Jesus' body temple and for a green (water baptised) leek bed of 50 years of Mark6 from late 29 AD, when Jesus was feeding 5,000 1NC saints (baptised by John) to 79. And the constant feature falls after the baptism. So it must be the end of TCC1 as a true church. So the first presence banks are longer than 1290 days and are therefore 4½ years long. Now there is a gap in the second presence between the end of the water baptism of the Watchtower and the start of the second part of the second presence in Laodicea. So in one meaning the guy on the left bank is a water baptised 1NC reserve with a 3EC water baptism, and the guy on the right bank is a water baptized 1NC reserve in Laodicea with a 4EC water baptism from AOL. The gap in the second presence is the period between these two banks, when Jesus only exists in angelic form floating above the 4EC water baptism without getting his feet wet in it. During this time he is absent, since Jesus cannot be present in unclean flesh. This gap is 4½x long from 2001Heshvan14 to 2006Iyyar14. Then the 2nd part of the 2nd presence runs for 91 months of exile in Laodicean prison, from 2006Iyyar10/12/14-2013Chislev11, which is 2000 flying pigs of Mark5 before 2019Sivan30, when the last Watchtower Passover 1NC reserve pigs jump off the overhang of a false but continuing church into the sea of the world in order to drown in the waters of the 3EC. Likewise there is a gap between 2013Chislev11, when Laodicea ran dry, and 2019Sivan11, when the period of strange/wonderful things ends with the start of the 3rd presence, the baptism of the late first Watchtower Passover 1NC reserves on 2018Sivan11-12, when Jesus gets his feet wet (his feet are the 1NC reserves, the last members of his body, his wife, the 3rd Holy Spirit). So the 3rd presence starts non adamically by 1NC reserves entering into the LWs. There are 5½x from 2013Chislev11 to 2019Sivan11. So that is a 5½ year gap (to the day) between the end of the water baptism of the 2NC church of Laodicea and the 3rd presence. Now since the account does not specify which of the two men on the two banks was questioning the angel floating above the stream it is apparent that there are two of these questions posed and therefore two streams to be bridged in one meaning/one presence but not in the other for then both men would have asked the question. So there is a dual gap in the second presence but only a single gap in the first presence. This is the precision of the vision. In the second presence the gap between the banks is 4½x+5½x=10x which is a sum of two figures which are both in the time, times and half a time format and 10x and so is represented by the 10 fingers of the left and right hands of Gabriel. Except that the word hand is absent from the account. So the two gaps between banks in the second presence add up to 10x in years. Whereas in the first presence there is only one gap of 10x between 79Tishri14 and 89Tishri14. The first presence began on 29Tishri10 (when Jesus etnered into Immanuel), so it ends on 159Tishri10 (130 years later to the day - 120 years of Moses' life plus a precisely 10 year gap). Peter stretched out his hands and another girded him and bore him where he did not wish. He does not wish to be outside of Jesus' body, for he is the head of that body, the head of the wife of Jesus. So Peter was without a water baptism for 10 years precisely - this being the numerical meaning of stretched out hands. So the gap in the presence cannot have been any longer than that. Peter was not slow to respond among men. So the gap in the presence would have been precisely 10 years. The question is asked by one of the two men on the banks. But because they are two possible questioners there are two answers. The second hypothetical answer relates to the second gap in the second presence. Jehoiada lived for 130 years. These are the total length of the second presence - precisely including the 4½+5½ = 10 year gap. What this understanding does is make sense of the man clothed in linen holding up his right and left hands while answering the question with the answer of time, times and half a time, which at first seem contradictory. Caiaphas condemned Jesus in the early hours of the morning and handed him over to Pilate to be executed in the early morning. This is when he offered Jesus up to the Roman executioners. This is therefore when the law ended. Pilate did not end the Law of Moses. Caiaphas did. Adam must likewise have sinned in the early hours of the morning. 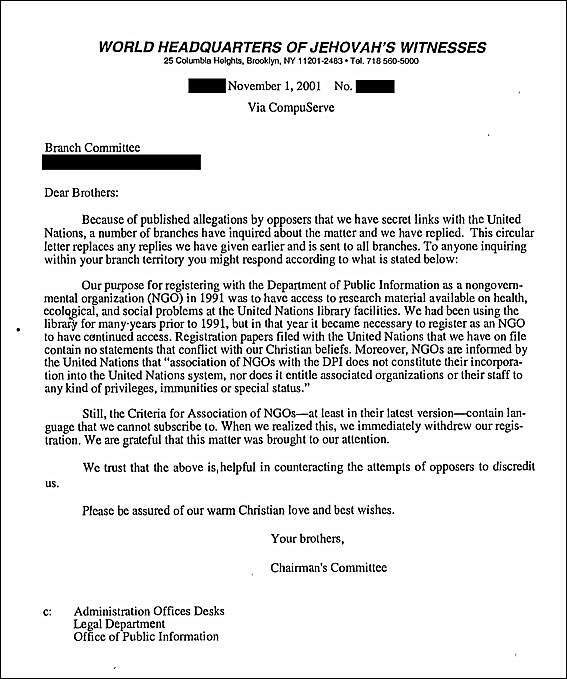 The Watchtower showed that it was unrepentant for installing Satan's throne in God's temple via their UN NGO agreement on 2001Heshvan10/11 with their awful letter to the branches. 10 Many [during the final part of the things, the final part of the wonderful things of verse6, i.e. the final part of the time of the end] will cleanse themselves and whiten themselves and will be refined [during the final part of the time of the end]. And the wicked ones will certainly act wickedly, and no wicked ones at all will understand [and be raptured]; but the ones having insight will understand [and be raptured]. 1. 2004Elul14 to 2008Nisan14. Loss of constant feature of field service in WTBTS to end of world judicially. 2004Elul14 was 2004September1, the first day of the field service year. 2004Elul14 was the end of the 4600 solar days of the 2300 evening and mornings of Daniel8 from 1992January28, when the Watchtower started riding the UN beast as a Harlot church, by becoming a UN NGO affiliated to their department of information. This was the transgression causing desolation to the Watchtower. 2. 2016Sivan1 to 2019Tebbeth1. From the end of Satan's access to his heavenly view of mankind, which was the removal from him of his constant feature, to his repentance! The repentant firstborn demons enter into Zoar - which is being run by the 3rd Holy Spirit, and the unrepentant firstborns are sent to Gehenna. But first the strong man must be bound. that man is Satan. He will be baptised into Zoar! 3. The sentence count of verse 11 is 2x 1290x = 2580x. These are days from the loss of constant feature due to death to Adam on 2012Sivan14 to the end of the judgement upon the Watchtower on 2019Ab14, the completed 3rd Watchtower Passover. 4. 1290 days of the time of the end for Laodicea from 2015Heshvan20, their fall as a true church to 2019Sivan20, when most of them are bapti9sed into Zoar after 2019Sivan15, the end of the LW Exedenic Times. 31 And there will be arms [plural] that will stand up, proceeding from him; and they will actually profane the sanctuary, the fortress, and remove the constant [feature]. And they will certainly put in place the disgusting thing that is causing desolation. 32 And those who are acting wickedly against [the] covenant, he will lead into apostasy by means of smooth words. But as regards the people who are knowing their God, they will prevail and act effectively. 33 And as regards those having insight among the people, they will impart understanding to the many. And they will certainly be made to stumble by sword and by flame, by captivity and by plundering, for [some] days (Daniel 11). 1. 1335 days from 2006Sivan12/13, the first fire sign prediction failure of the contest of 1Kings18, to 2009Shebat27, when we got the blessing of U264. We got an intimate view of God's family and of Archeden and we first saw that God sacrificed himself for the angelic rebellion in archeden just as Jesus did for the human rebellion in Eden. 2. 1335 days of pregnancy expectation from 2008Tishri1 to 2012Sivan16, Zoar first fruits when LWs became Isaaic non adamic at the end of the 2:1 temple ratio prophecy from Adam's birth 4027Tishri2 to Jesus' birth 2Heshvan21 to Adam's rebirth 2012Sivan16. 3. The sentence count of verse12 is 3x. (1x+1335x) = 3x.1336x = 4008x. The Kingdom of God and its expectation began in on 2008Nisan22 (the 1st marriage). We have been in expectation of its manifestation since then (actually since 2008Nisan14). If we add 4008 days to 2008Nisan22 then we get 2019Sivan10. Then on 2020Sivan11 the 3rd presence begins and Jesus joins the LW church! 4. 1335 days from 2015Heshvan20, the fall of Laodicea, to 2019Ab5, the Zoar Pentecost when the gifts of the spirit are poured out upon Laodiceans in Zoar? 5. 1290 days of the TIme of the End of Jerusalem from 66Heshvan5 when Cestius enters the temple, the disgusting thing enters the Holy Place and then retreats to a place called Scopus (Watchtower!) without any reason in the world, to 70Tammuz19, when Titus parades those who have fled to the Romans and been saved alive in Gophna around the wall. Then he starts the final assault on the temple. On 2012Sivan15/16 we got non adamic Abrahamic bodies. These age at half the normal pace having twice the normal lifespan of a 120 year (Mosaic) body. 2013Sivan16/Ab5, Zoar first fruits/Pentecost, was the appointment/installation of the Zoar administration as a non adamic priesthood over the unsanctified (we could feed then and manage pre-existing 4EC baptisms, but not baptise anyone new due to the LW Exednic Times from 2012Sivan15 to 2019Sivan15. 13 And you , Go to the end [advice for interpreting verse11, the end of the world, and verse12, the end of Satan's lease on mankind]; and you [Daniel] will rest, and you will rise/stand up for/to your inheritance at/to the end of the days [the 1335 days, both fulfilments and the days of the time of the end] (Daniel 12). The NWT is good here translating ~lw[ literally hidden time, as an ‘indefinite time’ and d[ literally until as ‘for ever’!! For Gehenna is a place of indefinitely lasting reproaches and abhorrence, not everlasting or infinitely lasting reproach. 2011Nisan14 was when Satan's 6,000 year leased passed back over to Michael. For Esau was coming in from the field when he sold his firstborn rights for a bowl of the red, and one comes in from the field on Tishri14, the last day of the harvest (since Booths begins on Tishri15) if one is righteous, But one comes in from the field on the Passover if one is Cain and has just killed his brother. Also Adam is passed over from death to Michael on 3993Nisan14 and from Michael to Death on 3990Nisan14. Sorry that was a bit gnostic. Adam was passed over from his death sentence to Michael on 3993Nisan14. Then he was passed over from Michael to Satan (whose name is death, he having brought it upon Adam and Eve) on 3990Nisan14. Adam is always passed/handed over on the Passover. Now the Passover is defined as the 14th day of the first month. It is not said to be either of the sacred or the secular year. And every ambiguity has power in the scriptures. So there is to be a Passover on Tishri14 too. We also know that Cakes ends up in Booths, because Cakes finished in Succoth on 1513Nisan21 BC and Succoth means Booths. And we know that Cakes is preceded by a Passover, so the same will all be true of Booths. And Satan is the antithesis of Michael in his activities. So the Tishri14 date is as far away from Nisan14 as it is possible to be in the Hebrew calendar. But presently we do not understand the significance of Tishri14. Except perhaps that on 2019Tishri14, the last saint enters into the ark which passes over the lava flood? Zoar is an Isaaic church. The Kingdom is a Methuselaian or Melchizedaic church. Zoar is a half way house (having a holy sacred administration under a satanic secular administration), hence we have half-kingdom bodies (non adamic 240 year lifespan). So the physical body represents the spiritual state of the church. Perhaps therefore we do not get Methuselaian bodies in Zoar? The Nisan1 calendar which began at the Passover of 1513, is a sacred or festival calendar and exists due to the 6,000 years between the first Passover of Adam when he sinned on 3993Nisan14 and the last Passover of this world (during Satan's lease) on 2008Nisan14, which was followed by the marriage of the lamb on 2008Nisan22, which was the start of the Kingdom of God in heaven (i.e. over the true churches of Laodicea and the LWs). The Tishri1 calendar began with the birth of Adam on 4027Tishri2. It is a secular or agricultural of rulership calendar. Satan got 6,000 years of the sacred calendar when Adam was passed over from Michael to him on 3990Nisan14. His sublease expired on 2011Nisan14 - see U17. This was the start of the Kingdom of God physically over all the world other than genetic Israel who was subject to the (1266 days from 29Heshvan29 to 33Sivan5) ministry ransom deal from 2011Nisan14 to 2014Tishri20 - see U27..
God is not stupid. He wants to say more than 4½ or 6 with the phrase a time, times and a half. Many faithful men, including all the LWs have struggled with these words. The above is the closest we have got yet! 40 And in the time of [the] end the king of the south will engage with him in a pushing, and against him the king of the north will storm with chariots and with horsemen and with many ships; and he will certainly enter into the lands and flood over and pass through. 41 He will also actually enter into the land of the Decoration, and there will be many [lands] that will be made to stumble. But these are the ones that will escape out of his hand, Edom and Moab and the main part of the sons of Ammon. 42 And he will keep thrusting out his hand against the lands; and as regards the land of Egypt, she will not prove to be an escapee. 43 And he will actually rule over the hidden treasures of the gold and the silver and over all the desirable things of Egypt. And the Libyans and the Ethiopians will be at his steps. 44 But there will be reports that will disturb him, out of the sunrising and out of the north, and he will certainly go forth in a great rage in order to annihilate and to devote many to destruction. 45 And he will plant his palatial tents between [the] grand sea and the holy mountain of Decoration; and he will have to come all the way to his end, and there will be no helper for him (Daniel 11). So Michael stands up in the time of the end. Well he stood up to come and reject the Watchtower and appoint the LWs in the time of the end of the Watchtower which ran from 1998Elul27/29, when FDS3 fell over the saints on tablet shattering day, to 2005Iyyar14, the end of the Watchtower as a true church. But the King of the North who in the literal meaning of Daniel 11 is the king controlling the Euphrates, which is the US led coalition occupying Iraq, has not yet stormed against the King of the South, which is the king controlling the Nile, which is general terms is the Muslim controlled states of the Middle East. Then we have the 'time of distress', when everyone who is found written down in the book will escape. Their escape mechanism is the rapture, the greater Noah's ark, the angelic ark of Jesus or protection on earth from the 3rd Holy Spirit for the sons of the OMC - the Great Crowd. 1 ...a tribulation such as has not been made to occur since there came to be a nation until that time. And during that time your people will escape (Daniel 12) [The word 'time' is repeated enough times for us to wonder whether it does not mean: a time, chronologically i.e. a year or a month. The time of the end of the Jewish system ran from 69Tishri15 until the diaspora. So it was a time period. But the time of distress ran from 69Tishri15 to 70Tishri15, this being a land Sabbath year. The last one of the law, for the law ended physically with the destruction of the temple by Titus on 70Ab10. It ended judicially with Jesus' impalement. So both at the end of the Jewish system and at the end of the world, the Time of the End is a general time period and the Time of Distress is a year long]. 4 And as for you, O Daniel, make secret the words and seal up the book, until the time of [the] end. Many will rove about, and the [true] knowledge will become abundant (Daniel 12). 28 However, there exists a God in the heavens who is a Revealer of secrets, and he has made known to King Nebuchadnezzar what is to occur in the final part of the days (Daniel 2). 7 But we speak God's wisdom in a sacred secret, the hidden wisdom, which God foreordained before the systems of things for our glory (1 Corinthians 2). It’s like the meaning of the name that Pharaoh gave to Joseph: Zaphenath-Paneah, meaning ‘Revealer of Hidden things’ (Genesis 41:45). 21 I publicly praise you, Father, Lord of heaven and earth, because you have carefully hidden these things from wise and intellectual ones, and have revealed them to babes. Yes, O Father, because to do thus came to be the way approved by you (Luke 10). On Sunday 8th March 1992, Gordon had been complaining to Tony that he had a 6 month discrepancy in the length of the Alienation Times. This arose because he did not realise at that time that the 120 years of Genesis 6 ended after the flood at the time when men’s maximum age was changed from 960 years to 480 years, just before the birth of Arpachshad. He thought that it ended at the flood. Gordon was actually thinking that the change in the calendar at the time of Moses might have something to do with this problem. In any event, on Sunday night Tony had a dream! On Monday he said to the Gordon: 'I have had a dream!'. Gordon responded with some cynicism, to the effect that this sort of thing was supposed to have stopped 2,000 years ago. Tony said: 'I know how to solve your 6 month problem, look at the account of the shadow going back on the 6 steps of Ahaz' or such-like. 10 In the midst of my days I will go into the gates of Sheol (Isaiah 38). Since there were ten steps, the writer was thinking of something complete, so he thought of the Abrahamic covenant. We were amazed that we hadn't seen it before! Jesus died in the middle of the covenant, the 1AC. Furthermore this did solve the problem about the six months and the calendar change at the time of Moses, because since there was no corresponding missing 6 months after Jesus' death and since both halves of Abraham's covenant were now known to be symmetric, then there could be no missing 6 months at the time of Moses. Later on that week, either on Friday evening or on Saturday 14th, we think it was Saturday. Tony said to Gordon, 'why don't you have a look at Daniel?' The writer said, 'No, no, the Watchtower Society have worked Daniel out, they have already unsealed it' or the like. But Tony prevailed over the writer and we had a look at Daniel chapter 12. Tony then asked, what the 1335 days of Daniel 12:12 related to since the Watchtower had worked it all out. Gordon said that they related to a convention in the Albert Hall. Tony then categorically refused to accept that the last words of Daniel had anything to do with the Albert Hall. He said something like: Do you really believe that the dying words of God's great prophet Daniel refer to a happiness resulting from a talk in the Albert Hall? 12 Happy is the one who is keeping in expectation and who arrives at the 1,335 days! (Daniel 12). The writer has by now learned that when one of his associates refuses to accept something, then rather than brow beating him with the doctrine of the Watchtower Society, or indeed the current doctrine of the Lords' Witnesses in the manner of a lobotomised prison warden, it is better to listen and to re-think. Because more often than not it is not only his associate but it is also the true God himself through his holy spirit who is not accepting the teaching! 13 And as for you yourself, go toward the end; and you will rest, but you will stand up for your lot at the end of the days (Daniel 12). 8 What will be the final part of these things ? (Daniel 12). And what Gordon did, was he went to the end, the end of the world, which he already knew was 2008Nisan. And the 3½ year bank and 1290 days and the 1335 days basically count backwards from the end of the World (more or less). And Gordon, who is the antitypical Daniel, for this very reason, obeyed this instruction from the spirit, and since he actually understood it he unsealed Daniel (well he started unsealing it anyway). The reason that Daniel could not be unsealed before the time of the end, is that it works backwards from the date of the end. So you need to know this date first before you can unseal it. But the 'time of the end' is the time of the knowledge of the true date of the end. It is the time of the knowledge of the date of Armageddon - see . The knowledge of this date is the Key to unlocking Daniel 12 and a lot of the rest of the bible. It was really wonderful and the writer could not thank Tony enough for his stubbornness, and neither could he thank the true God enough for his open-handedness. We are not absolutely certain whether this occurred on the night of Friday 13th or Saturday 14th or Sunday 15th. But we are pretty sure that it was the Saturday night because the writer does remember asking Tony to check the date and finding that it was Saturday March 14th, because he thought it was a bit like Nisan14th. He also realised that he would be very tired at the Sunday morning meeting, which was at 9:30 a.m. on Sunday 15th but what the hell, he had unsealed Daniel! The 2NC saints in Zoar were appointed/installed over Zoar as sacred king over all the non adamic 2NC saints on 2012Tishri2/Heshvan21 and as sacred king over all the non adamic 1NC reserves on 2013Nisan18/Sivan7 (both 1st appointments for non adamics who have died to all previous appointments). The Watchtower Bethel/Congregation/Prison 1NC reserves join Laodicea on 2019Iyyar10-11, 2019Sivan11-12, 2019Tammuz10-12 and 2019Ab10. Elijah4 resigns in favour of the descended 1NC saints on 2019Heshvan10, the late 5th marriage Pentecost, the 2Kings1 chief of of the 3rd 50 count. The 5½ years ends with the 3rd presence, this being the end of the strange/wonderful things that last of a time times and a half. However the man on the bank did not ask how far away is the other bank? He asked how long with the strange/wonderful things? So there is scope for a different interpretation. So the period from the heavenly baptism of Charles Russell as Elijah3 on 1871Heshvan21 to the appointment/installation to feed on 1901Tishri2/Heshvan21 to the end of the 100 years of feeding in green leek beds of Mark6 on 2001Heshvan14 is 130 years long. During his absence, Jesus is not in touch with either bank or with the water. This is because any 1NC saints on earth are without a water baptism even though the next baptism (the 2EC or the 4EC is actually available to them - hence they float above the water). Since Daniel refers to himself as 'I, Daniel', we know that there are two vision threads in total, the event symbolic one and the word symbolic one in this case (this is an as yet undocumented part of the code). But Daniel then asks: What will be the final part of these things? Or: What happens after this? And we read that from the time that the constant feature has been removed and there has been a placing of the disgusting thing that is causing desolation, there will be 1290 days. Here is the hard part, the part we got last. What is the constant feature today? The constant feature of the Watchtower is field service. They do that morning and afternoon every day. The lost that feature on 2004Elul14, which was 2004September1, the start of the field service year. 8 in a flaming fire, as he brings vengeance upon those who do not know God and those who do not obey the good news about our Lord Jesus. 10 at the time he comes to be glorified in connection with his holy ones and to be regarded in that day with wonder in connection with all those who exercised faith, because the witness we gave met with faith among you (2 Thessalonians 1). 6 But when he again brings his Firstborn into the inhabited earth he says: And let all God's angels do obeisance to him. 7 Also, with reference to the angels he says: And he makes his angels spirits, and his public servants a flame of fire (Hebrews 1). (So Jesus comes as a human at Armageddon). lamentation, and they will see the Son of man coming on the clouds of heaven with power and great glory. 31 And he will send forth his angels with a great trumpet sound, and they will gather his chosen ones together from the four winds, from one extremity of the heavens to their other extremity (Matthew 24). 31 When the Son of man arrives in his glory, and all the angels with him, then he will sit down on his glorious throne. 32 And all the nations will be gathered before him, and he will separate people one from another, just as a shepherd separates the sheep from the goats. 33 And he will put the sheep on his right hand, but the goats on his left. 34 Then the king will say to those on his right: Come, you who have been blessed by my Father, inherit the kingdom prepared for you from the founding of the world (Matthew 25). 38 For whoever becomes ashamed of me and my words in this adulterous and sinful generation, the Son of man will also be ashamed of him when he arrives in the glory of his Father with the holy angels (Mark 8). 26 For whoever becomes ashamed of me and of my words, the Son of man will be ashamed of this one when he arrives in his glory and that of the Father and of the holy angels (Luke 9). This 'Son of man' does not look like Jesus. So what precisely is this great happiness that the last words of Daniel refer to? According to Jehovah’s witnesses it refers to the great joy of the conventioneers who came out of the Albert Hall in 1926 and were very very happy! (Daniel book, YWp337-8) And why shouldn't they be? its a very nice hall, and no doubt it was a wonderful convention. But really, brothers, is this the great reward that the giver of every good gift and perfect present is giving to his faithful servants, a nice convention in the Albert Hall? Why even Frank Sinatra can match that! 'I remember when Tony & myself worked this one out, with a large amount of prodding and help from the spirit we had realised that the word 'times' in the bible stood for 360 years in more than one scripture, and we were feeling pretty pleased with ourselves and we thought that we had more or less discovered the entire sacred secret. I must stress that neither of us knew that we were anointed (sanctified in holy spirit, born again) at that time, because you do not have to be anointed to understand the bible dammit. In some ways I wish that I wasn't anointed so that this point could be more forcibly made now. For it is my job not to decode the bible myself, but it is my job to start all of God's people decoding the bible for themselves, indeed this is what I am anointed to do. Because I know for a fact that this work is too big for any one man, in fact it is too big for all of us, but with God's spirit we will decode it, every word of it, every jot and tilda of every letter of every word of it. Are you trying to tell me, that the culmination of God's whole divine plan to save all of mankind from sin and death, to confer immortality on his firstborn son, and to vindicate his holy name, was a convention in the Albert Hall in 1926? Was that really the climax of his achievements for man?? Well, what could I say? I had to laugh as well, it was ridiculous. On that day, and ever after, the holy spirit made me realise that when a bible study does not accept some doctrine, it is very often not only the bible study who does not accept it, but also the spirit of truth is not accepting it. So that rather than bashing that doctrine into the head of the bible student in the manner of a lobotomised prison warden, one does better to reconsider the doctrine in the manner of a humble bible student. That is what we did, and it was the most beautiful thing, because I looked at Daniel 12 and I saw a sparkling river of light, with Gabriel in bright linen floating off to heaven above it and I knew that this river was the resurrection of the anointed, the new covenant saints, it was the river of heavenly life. A people enjoying the salvation in Jehovah (Deuteronomy 33:29). Happy is the one acting with consideration toward the lowly one, In the day of calamity, Jehovah will provide escape for him. Jehovah will guard him and preserve him alive. He will be pronounced happy in the earth (Psalm 41:1,2). Happy are the meek for they will inherit the earth (Matthew 5:5). And this they will do at the end of the 1.1 million days on 2008Heshvan7, for this is the end of the great tribulation for them. Are any 1NC non reserve remnant left around down here when the Kingdom starts? As regards the last resurrection of the remnant, one can very easily deduce that all of the holy ones are in heaven before the kingdom of God starts. For if truly the Kingdom of God were to start with any of the holy ones still on the earth and therefore unmarried, then since Jesus is not having two marriage feasts (for the 144,000 non reserves), he would have to be unmarried as well. In which case there would be no covenant in force for the 144,000 to wield any power as kings or priests, in which case the Kingdom would have actually started without them! That is without any of them! It is also very difficult to explain how in the days of the earthquake of Uzziah (which days are standing for Armageddon, when Jehovah's earthly people flee to the valley of his mountains) it will be that Jehovah will 'certainly come, all the holy ones being with him' (Zechariah 14:5), if in fact some of the holy ones are still here on the earth, and are therefore not with him. Well if there are any left remaining on the earth when the Kingdom starts then the Kingdom of God will truly have overtaken them. Also the armies that were in heaven were following him on white horses, and they were clothed in white, clean, fine linen........And upon his outer garment, even upon his thigh, he has a name written, King of kings and Lord of lords (Revelation 19:14-16). Let us not beat around the bush, these armies that are 'in heaven' are the 144,000 brothers of Christ. For Jesus is here called the King of kings (Revelation 19:16), he is not called the King of the number of kings who have so far been resurrected. The scripture does not mention any armies that were on the earth following him. Logic dictates that these ones do not become kings until after the marriage of the Lamb, which is their investiture. 37 For just as the days of Noah were, so the presence of the Son of man will be (Matthew 24). 3 My spirit shall not act towards man indefinitely in that he has erred (or is also flesh). Accordingly his days shall amount to 120 years (Genesis 6). We have a 120 year second presence but with a gap in it from 2001Heshvan14 to 2006Iyyar14 - see Intro45. Then there is a further gap between the end of the second presence on 2013Chislev11 and 2019Sivan11 when the 1NC reserve Passover victims come into the LW church for the first New Passover. Jehovah does not come down in a cloud to accept a physical temple until the temple is fully built. However spiritual temple are accepted and inaugurated and then built. 8 And the sanctuary of God became filled with smoke because of the glory of God and because of his power and no one was able to enter into the sanctuary until the 7 plagues of the 7 angels were finished (Revelation 15). 34 So Moses finished the work. And the cloud began to cover the tent of meeting, and Jehovah's glory filled the tabernacle. 35 And Moses was not able to go into the tent of meeting, because the cloud resided over it and Jehovah's glory filled the tabernacle (Exodus 40). 10 And it came about that when the priests came out from the holy place, the cloud itself filled the house of Jehovah. 11 And the priests were unable to stand to do their ministering because of the cloud, for the glory of Jehovah filled the house of Jehovah. 12 At that time Solomon said: Jehovah himself said he was to reside in the thick gloom. 13 I have successfully built a house of lofty abode for you (1 Kings 8). 41 The Son of man will send forth his angels, and they will collect out from his kingdom all things that cause stumbling and persons who are doing lawlessness (Matthew 13). 32 And all the nations will be gathered before him [in the kingdom of God with Jesus enthroned], and he will separate people one from another, just as a shepherd separates the sheep from the goats (Matthew 25)..
Melchizedek who does not know the future, is in charge of the heavenly church of the 1AC, so the sons of Abraham must have shown faith before 2008Nisan14 to get into the covenant. Where is the evidence that we are in the kingdom of God? What are the angels doing right now? How do we leave a temporal wilderness? We get good chronology. We unseal the bible chronologically. The Jews followed a cloud about a tent going around in circles in a geographical wilderness into a geographical promised land. The LWs follow a mushroom cloud over a temple round in temporal circles into a temporal promised land - where we actually get the chronology of the bible..
GNS1 was finished physically when Peter left. He spent 10 years from 69Nisan to 79Nisan under WSS1 and GNS1. 18 Most truly I say to you, When you were younger, you used to gird yourself and walk about where you wanted. But when you grow old you will stretch out your hands [10 times] and another [man] [The evil slave] will gird you and bear you where you do not wish (John 21). 16 then let those in Judea begin fleeing to the mountains (Matthew 24). This flight occurred after 66Heshvan5, the day when after Cestius invaded the temple and then retreated 'without a reason in the world' (Josephus). The reason was indeed not of this world, it was the fear of God that came upon him. He must have suspended the constant feature during his little visit to the temple. One does not suppose that much sacrifice to God was in fact carried out during Cestius' assault and conquest of the temple. 1290+45=1335 days. Fine except this should be BLC rather than Hebrew Calendar. Hmm. 66Heshvan5 Cestius enters temple, the disgusting thing in the holy place, and then retreats without a reason in the world. 70Tammuz19 Titus parades those who have fled to the Romans and been saved alive in Gophna around the wall. Then he starts the final assault on the temple. The waters are governed actually by Gabriel the father of all the water baptised. Gabriel raises his left hand to the heavens Authority of FDS2 and the Aaronic Priesthood. Gabriel raises his right hand to the heavens Authority of FDS1. Far Bank 1440 days, the time from the end of the water baptism of FDS1, which was the end of WSS1 and the beginning of GNS1, to the first 1NC saint from FDS1 to enter FDS2 by water baptism (Peter). Near Bank 1260 days, from the end of the law as a means of entering the 2AC to the baptism of John. How long will it be until the end of the astonishing things? How long is my bank? What will be the final part of the things? What happens after the time period of the far bank? 9 And do not presume to say to yourselves, 'As a father we have Abraham.' For I say to you that God is able to raise up children to Abraham from these stones (Matthew 3). 4 Paul said: John baptized with the baptism [in symbol] of repentance, telling the people to believe in the one coming after him, that is, in Jesus (Acts 19). So imputing obedience to those whom he baptised makes them into stones, living stones, sanctified Christians.